Every e-commerce store should be constantly collecting new subscribers. It's simple; the more leads you have the more sales opportunities you provide for your store. The best way to get more leads is by installing an email popup. 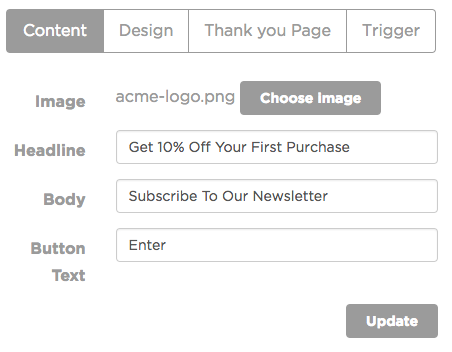 Popups have proven to be the most effective way to quickly gain new email subscribers. To easily install our popup on your store, watch the video below or follow the instructions in this article beneath the video. For Auto Trigger, you must set a time for when you'd like your popup to appear as well as a max frequency. Exit Intent will appear when your customer attempts to close their browser or tab. Copy and paste your unique code into the footer section of your website.